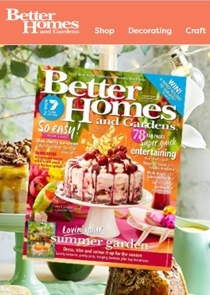 Soon after the relaunch of the Australian Better Homes brand’s website, independent of the Yahoo7 umbrella, I was tasked with writing content for one of the sponsored sections. The central challenge was to provide generic lifestyle advice without getting too specific about the products mentioned, but in such a way as to motivate readers to purchase items implied in the story from the client’s retail stores. Please use your mouse wheel to scroll down, or click here to read the full article.